Rosemary Georgeson, Coast Salish, Sahtu Dene woman. 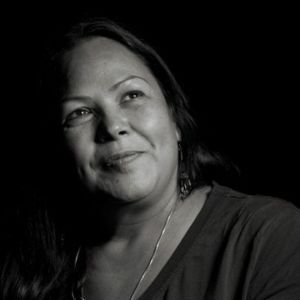 Rosemary is a writer, performer, storyteller, documentary film maker, facilitator, her passion is finding and sharing of untold stories of the west coast, the telling of the stories of her First Nations grandmothers whose stories and whole being were written out of history. When she is not researching into her family history, Rosemary works as a storyteller and a facilitator on and off reserve, focusing on the reconnection of youth and elders through the medium of storytelling and writing.